Did you know that all along, for this month of September, we're supposed to have been celebrating National Better Breakfast Month?! Who knew?? I certainly didn't. That is, until I read a blog post by Sally's Baking Addiction this week, sharing this fact with us all. At my bridal shower this summer, my mom gave me this really fun cookbook - the "I Do...Not Cook!" book. 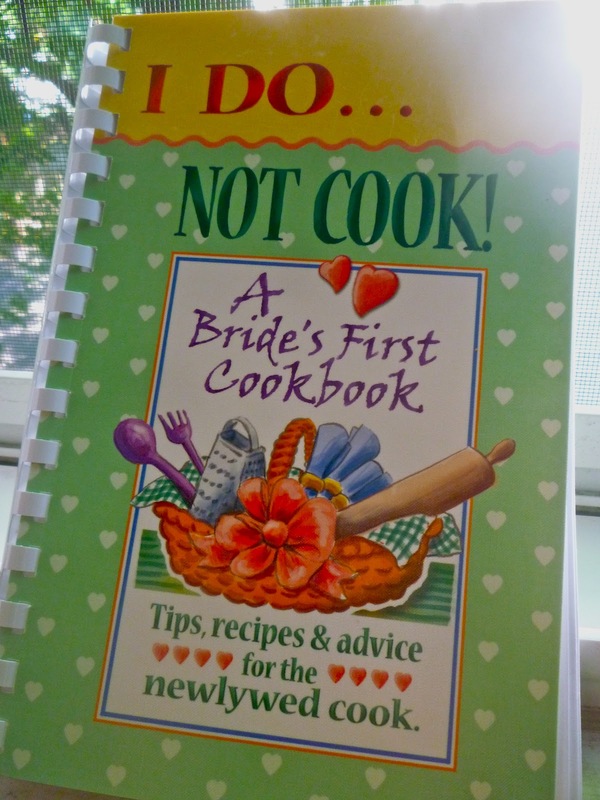 Now, we all know that that's not the case for me (ummm, hello, I have a baking/cooking blog! ), but nonetheless, I always love new cookbooks! A few weeks back on a weekend morning when I had a little extra time (what's that? extra time? ), I decided to try a new pancake recipe from this new book. I didn't follow the recipe exactly though, and as you know, I rarely do follow a recipe to a "t" anyway. The ingredients below are what I used in this recipe (and in parentheses are the originals for the ones I changed). This recipe makes about 6 medium-sized pancakes. Sift flour, salt, baking powder, baking soda, and cinnamon together. In mixing bowl, beat egg. Add oil and yogurt to egg. Add flour mixture and stir gently. Fold in bananas. Cook pancakes on griddle pan over medium heat. Drop batter by 1/4 cup-fulls onto griddle. Cook for 2 or 3 minutes, or until the bottom side is lightly golden brown and the top side has bubbles starting to form. Flip, and cook for 2 or 3 more minutes until the other side is lightly golden brown. Serve with your favorite toppings, and enjoy! The bananas and cinnamon, as mentioned above, were my own additions. I wanted to jazz these pancakes up a bit! I wanted to make them "better" in honor of this very important holiday, clearly. I was very happy with the fluffyness of these pancakes! They were light, airy, and perfect. So good! I drizzled my pancakes with just a little pure maple syrup. Good 'til the last drop. Er, bite. If you're looking for other "better" breakfast ideas, definitely check out Sally's Baking Addiction for some amazing looking recipes! !